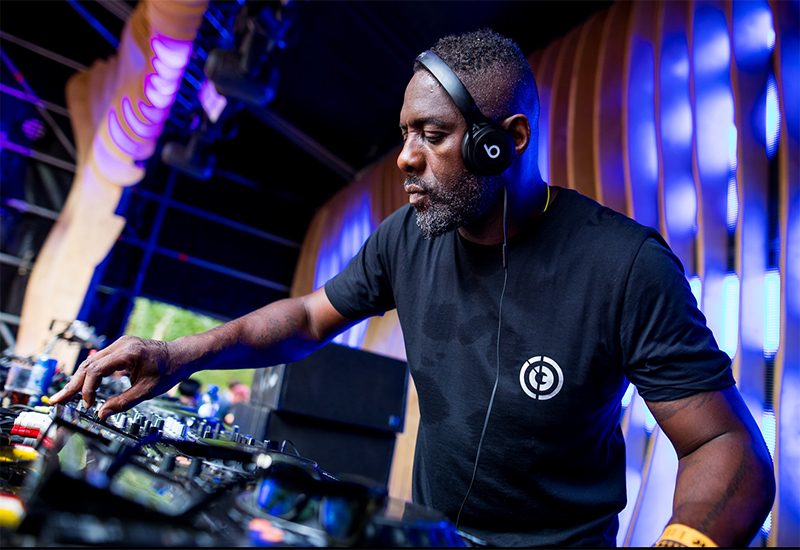 Executive produced by and starring Idris Elba, Netflix’s Turn Up Charlie follows once popular DJ, Charlie Ayo (Elba), whose fall from fame eventually lands him the inadvertent position of nanny for his childhood friend, David (JJ Field). The story takes place as David, a famed Hollywood actor returns to London from Los Angeles with his super successful DJ wife, Sara, and precocious, smart mouthed daughter, Gabby (Frankie Hervey). With this move, David and Sara hope to once and for all prioritize their family over their careers in order to give Gabby some much needed stability. Their intention is quickly met with challenges as despite their attempts to foreground family, work, once again, takes most of their time, leading them to plead with Charlie for help. My initial response to Charlie, a black man taking care of a spoiled little white girl, was one of teeth-sucking and scowling. However after several episodes I grew to appreciate the relationship between Charlie and Gabby and their dynamic. Charlie’s vacillation between tough love and tenderness resonates with Gabby, something her dozens of previous nannies were unable to accomplish. It is through Charlie’s approach to the 11-year-old that we learn that her rambunctious behavior is a result of hanging around with practically all adults and her constant taking of a back seat to her parents’ careers. Essentially, Charlie quickly earns the right to tell her the hard truths about her actions because he is the most consistent adult in her life. In fact, after quitting his first stint of nannying her within only 24 hours, he agrees to return after Gabby has a panic attack at school and the headmistress phones him, unable to get ahold of either parent; Charlie to the rescue. Charlie informs Gabby that life is difficult but that doesn’t give her the right to act up, especially since all she will do is push people away. Over the course of time, the two become friends, challenging and encouraging one another. The remainder of season one follows Charlie as he becomes even more intertwined in their family and all its drama. There is a fling with Sara’s manager, miscommunications, and secrets. Charlie even manages to restart his DJ career, giving viewers more insight into his personality and allowing us to witness some of the reasons why his descent from the turntables happened in the first place. While the focus of this fracturing family takes center stage, oftentimes pushing Elba to the margins of his own project, tapping into both patterns of black representation in televisual narratives and my own personal feelings behind this historical trend in television, it is still a good watch. With its cross-cultural, cross-racial, intergenerational approach to telling the stories of friendship, marriage, romance, and family, Turn Up Charlie offers an entertaining, and unlikely heartwarming, watch.